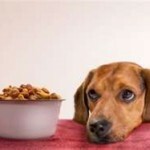 What Are Some Common Byproducts in Your Dog’s Commercial Food? Meat: If the label says “meat”, the food must contain clean flesh from slaughtered animals, such as cattle, sheep, goats, rabbits, and pigs, limited to skeletal muscle or muscle found in the tongue, diaphragm, heart, or esophagus, with or without accompanying fat, sinew, skin, nerve, and blood vessels. If the label specifies a type of meat such as chicken, the meat must be from chickens and not other animals. Meat meal, such as lamb meal: This byproduct is rendered (processed to remove fat and water), meat without added blood, hair, hoof, horn, hide trimmings, manure, or stomach contents, except in such amounts as may occur unavoidably in good processing practices. It can contain meat from 4D animals (dead, dying, diseased, or disabled) which comes from animals condemned for human consumption. Some manufacturers of high-quality natural dog and cat foods, make their own meal, in which case it isn’t such a bad thing, so this designation is somewhat vague. 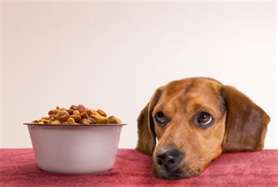 As a rule avoid pet foods containing meat meal unless you contact the manufacturer to find out exactly what is in theirs. Meat and bone meal: This is similar to meat meal described above, except it can also include bone as well as meat. The amount of meat and bone can vary between batches, so the amount of protein varies as well. Like meat meal, it can contain meat from 4D animals. Meat byproduct: This byproduct is made of non rendered (so it still contains fat and water), clean animal parts, other than meat, including lungs, spleen, kidneys, brains, livers, blood, bone, stomachs, and intestines freed of contents. Meat byproducts cannot contain hair, horns, teeth, or hooves. While this protein source may be more wholesome than meat and bone meal (because it comes from nonrendered tissue and from slaughtered animals rather than the carcasses of already dead animals), there is no way to tell by reading the label how much of which byproducts are included in the food. For example, the byproduct could be liver organ meat (healthy), or it could be intestines (not so healthy). It’s best to contact the manufacturer to determine what is contained in their meat byproduct. Animal byproduct meal: This general term is meant to be for animal byproduct ingredients that don’t fit the other categories. It is made of rendered meat without added hair, hoof, horn, hide trimmings, manure, and stomach contents, except in such amounts as they may occur unavoidably in good processing practices. Rice Gluten Meal: This is a byproduct of rice, the dried residue of rice protein without starch or fat. It is low in critical amino acids, so look for a food with ground or whole rice instead. Corn gluten meal: This is a byproduct of the manufacturing of corn starch and corn syrup. It is the dried residue of corn protein with the starch and fat removed and the bran separated. It is low in critical amino acids, so instead try to find a food with ground corn, which contains the entire corn kernel. © 2003 by Shawn Messonnier, D.V.M.